Act now by supporting to keep the lighthouse shining bright and strong. This year the North Point Lighthouse and Museum celebrated our 130th anniversary. Donations from people like you enable the North Point Lighthouse and Museum to be enjoyed by local visitors and visitors from all over the world – hopefully for the next 130 years! We receive no governmental funding. 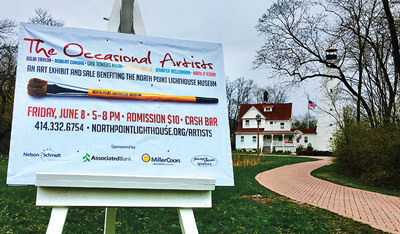 North Point Lighthouse Friends is a 501(c)3 organization. Your donation is tax deductible. We also rely on our volunteers. 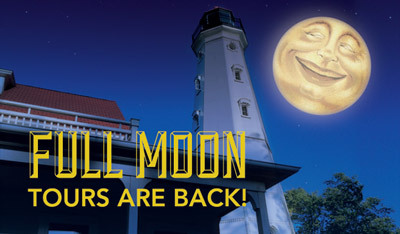 Through their commitment, we were able to be open to the public more hours in 2018, host several Full Moon Tours and a monthly lecture series, which is free to members. 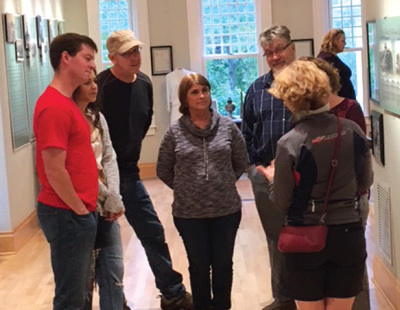 Our volunteers serve in many capacities – giving tours, managing our monthly lecture series, cleaning, facility repair, gardening, working at events, curatorial, serving on our Board, and so much more. 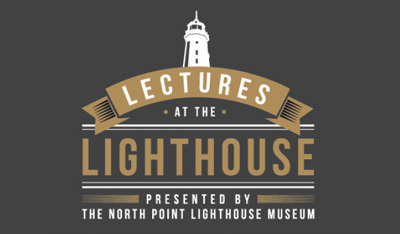 Help us spread the word about the North Point Lighthouse and Museum. We encourage you to visit, attend our lectures and events, rent our beautiful facility or become a volunteer. Become part of a historic treasure right here in Milwaukee. Donations of $100 or more will include a 2019 family membership. SAVE THE DATE – On #GivingTuesday, November 27, Facebook will MATCH your donation when you give to our Facebook fundraiser. A monthly lecture series by historians, authors and scholars. An art show and sale featuring Wisconsin artists and photographers. 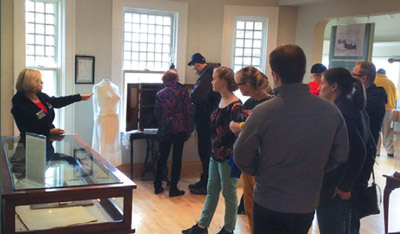 Visitors viewed the moon and toured the museum. Participated in Milwaukee Museum Mile’s MMM Day. 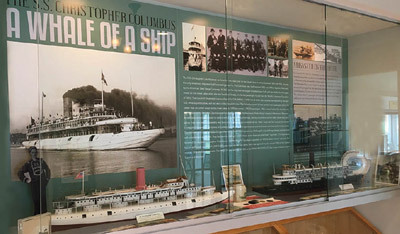 New exhibit about the whaleback steamer, S.S. Christopher Columbus. 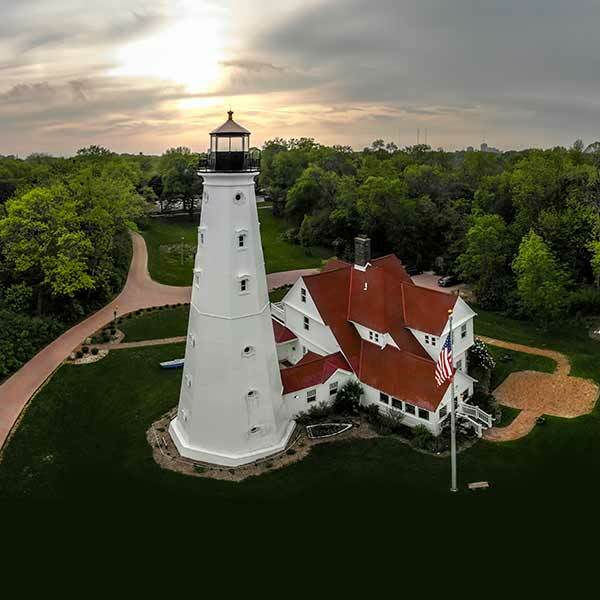 Each year, visitors are drawn to the beauty and history of the lighthouse, where they can tour, view exhibits about how lighthouses work and learn about Great Lakes maritime history. They can even climb the 74-ft tower for a spectacular view of the lake, harbor and city. The lighthouse is a self-sustaining museum and community icon. Since we receive no government funding, we rely solely on the generosity of supporters like you to help operate, maintain and improve the facility and programs. This year marks the 130-year anniversary of our lighthouse. To celebrate, we expanded our hours and garnered increased local and national media coverage. Rent the Lighthouse for a truly historic experience. Learn more about how you can rent the lighthouse for weddings and private and corporate events. The lighthouse will be acquiring the 5th Order Fresnel lens from the Algoma Pierhead Light. We will add a new exhibit about the Kaszubes who lived on Jones Island from the late 1800s into the 1940s.